A weakening of the aortic artery that causes a bulge in the artery is known as an aortic aneurysm. The aorta, the body’s main artery, distributes blood from the heart to the body. 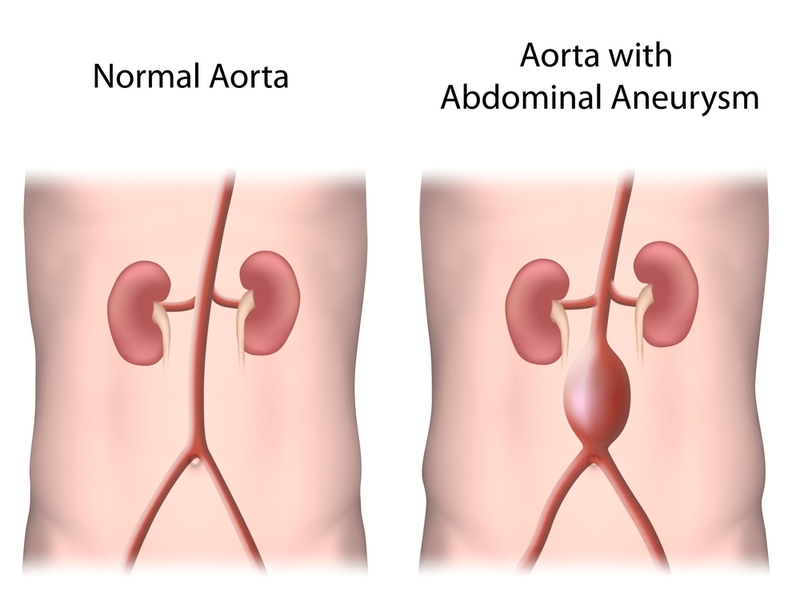 Aneurysms most commonly form in the belly also known as abdominal aortic aneurysm. If the aneurysm forms in the upper portion of the body it is known as a thoracic aortic aneurysm. Weakening of the artery over time can cause it to burst and can lead to hemorrhage and ultimately death. This surgery involves an abdominal incision to readily view the aneurysm. The abdominal incision is either lengthwise from middle chest to directly under the navel or it can be horizontal across the belly and down the middle of the abdomen. The repair of the aneurysm involves the use of a tube known as a graft. The graft is connected to one end of the aorta above the aneurysm to the lower end of the aorta by way of sutures. Endovascular aneurysm is more commonly done as opposed to the open repair because it is less invasive. EVAR is a procedure performed to repair an abdominal aortic aneurysm while being minimally-invasive. A small incision will be made to each groin to view the femoral arteries. With the use of special endovascular instruments, along with X-ray images for guidance, a stent-graft will be inserted through the femoral artery and advanced up into the aorta to the site of the aneurysm. A stent-graft is a long tube just as mentioned above, but with a stent attached to the graft. The stent aids with keeping the graft in place. The stent-graft is placed in the aorta and positioned at the aneurysm. The stent-graft will then be expanded, allowing it to attach to the wall of the aorta for support. Eventually the aneurysm will shrink onto the stent. The surgeon determines if EVAR is appropriate, or if the open repair is needed. A diabetic foot ulcer is an open sore commonly located on the bottom of the foot. Ulcers can occur for the following reasons: foot deformities, decreased circulation, irritation, and injury, decreased sensations, and the length of illness. Vascular diseases can worsen an ulcer on the foot, thus decreasing the body’s healing capabilities and increases the risk for acquiring an infection. Angioplasty also known as percutaneous transluminal angioplasty is a procedure in which a catheter is inserted through an artery or vein and maneuvered to the place where the artery has a blockage. When the catheter reaches the blocked artery, a balloon on the end of a catheter inflates for a moment. The pressure from the balloon opens the plaque and improves blood flow. What is an atherectomy procedure for atherosclerosis / PAD / PVD? An atherectomy procedure is a catheter with a cutter on the end to remove plaque from the inside a blood vessel. The catheter, like an angioplasty, is inserted into the artery in the groin through a small puncture and is performed under moderate sedation. The catheter has a chamber where the shaved plaque collects, which allows the plaque to be removed with the device. 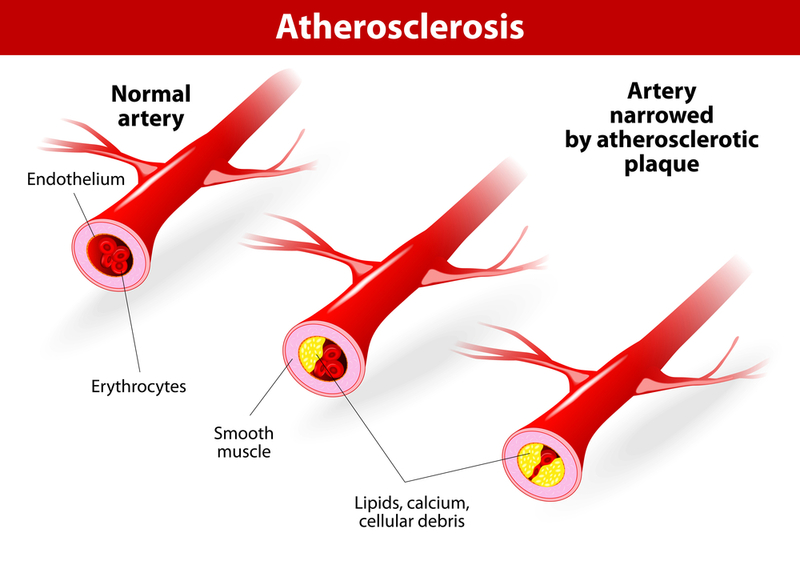 The process can be repeated several times during treatment to remove a large amount of plaque from the artery, thus decreasing a blockage from atherosclerosis. Peripheral artery bypass-leg. A peripheral artery bypass is a surgical procedure used to shunt the blood supply around a blockage in one of your legs. 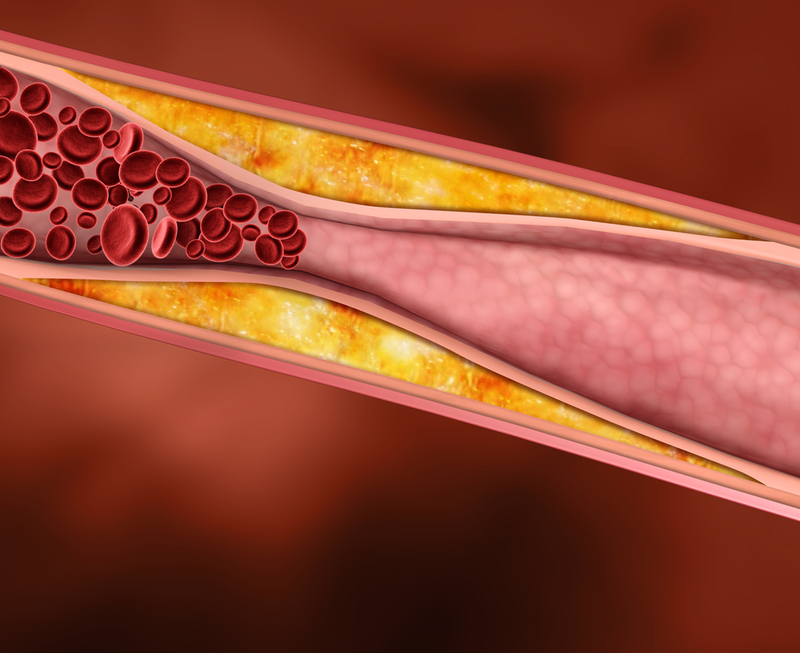 Plaque can accumulate inside the arteries and eventually block them completely. A graft is what is used to replace or reroute the blocked area of the artery. The graft may be a plastic synthetic tube, or it could also be a vein taken from your body during surgery.Your surgeon will create an incision over the artery that is occluded . After moving tissue and muscle out of the way, the surgeon then places clamps on either side of the blocked artery. The graft is then secured in place with sutures. The surgeon then will make sure you have adequate circulation to your lower leg. Then the incision is sutured and staples may be used for closure as well. Carotid artery disease occurs when plaque accumulates inside the carotid artery. Plaque can accumulate in the walls of your arteries as you age. Plaque is made up of fibrin tissue, cholesterol, and calcium. When the plaque increases, your arteries narrow and become hardened. This is the definition of atherosclerosis, or hardening of the peripheral arteries. Eventually, enough plaque builds up to decrease blood flow through your carotid artery, or can cause some irregularities in the normally smooth inner walls of the arteries. To help prevent infections, your neck will be shaved where the surgeon is going to make an incision. Your surgeon then creates an incision on one side of your neck to expose the carotid artery with the blockage. Next, the surgeon clamps the carotid artery to prevent bleeding. Then, your brain will be receiving blood from the non-operative carotid artery on the opposite side of your neck. If needed, the surgeon can place a shunt to reroute the blood while operating. After the carotid artery is clamped, the surgeon makes an incision directly into the blocked section. Next, your surgeon removes the plaque deposits by removing the inner-most lining of the diseased section of your artery. After the surgeon removes the plaque, stitches will be applied to your artery, and the clamps will be removed. The neck incision will be closed and the procedure is complete. A patch may be used to open the artery during the procedure. The procedure takes around 2 hours to perform but it may seem longer depending upon the type anesthetic and preparation time. Carotid artery stenting is a procedure in which your surgeon will insert a metal-mesh cylinder-like tube, called a stent, which opens inside your carotid artery to increase blood flow in areas that have a blockage due to plaque.